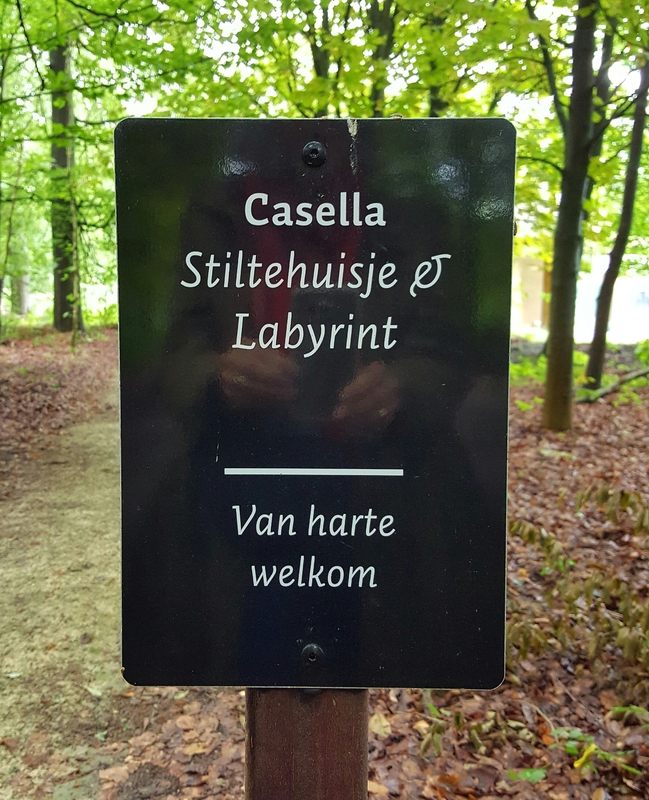 We visited a lovely labyrinth deep in the heart of the forest near Hilversum. 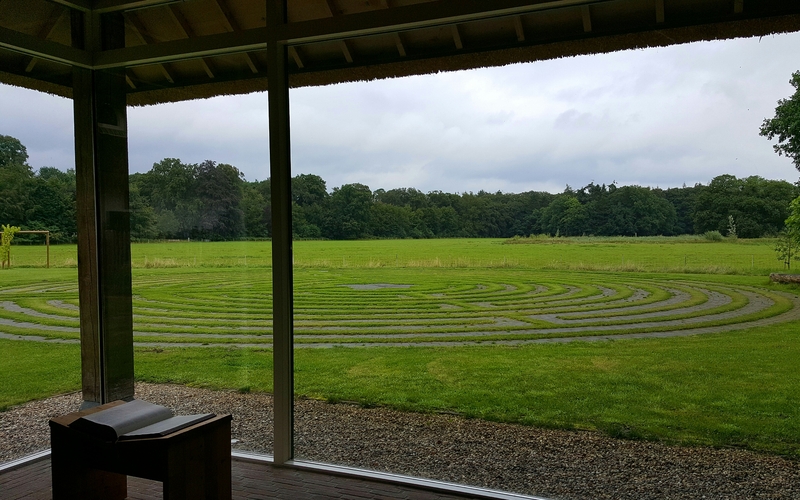 Before reaching the labyrinth itself, we spent a few minutes in the special prayer room whose floor to ceiling windows look out onto the labyrinth, a perfect place to meditate and pray before and after walking. 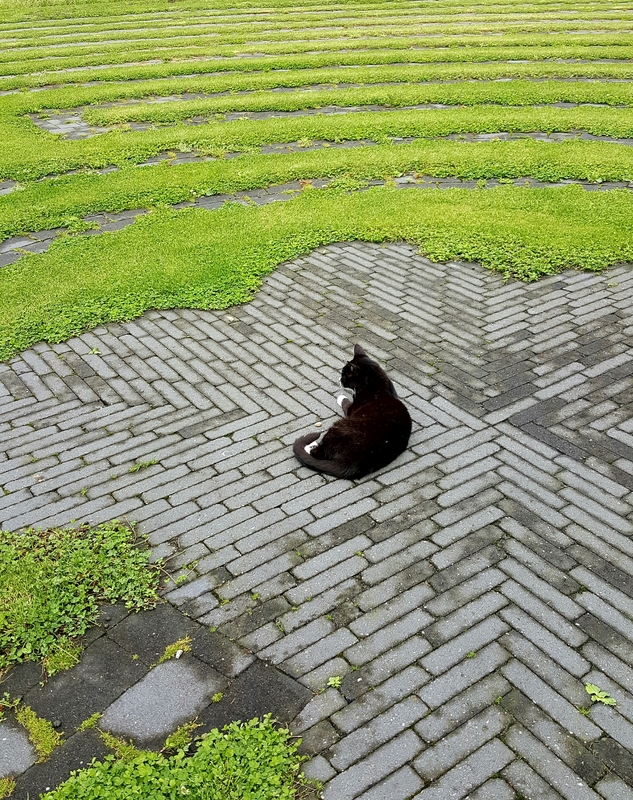 The labyrinth is well tended by its Guardian Cat; he clearly came to welcome and accompany us, but maintained his distance, obviously taking his responsibilities very seriously. 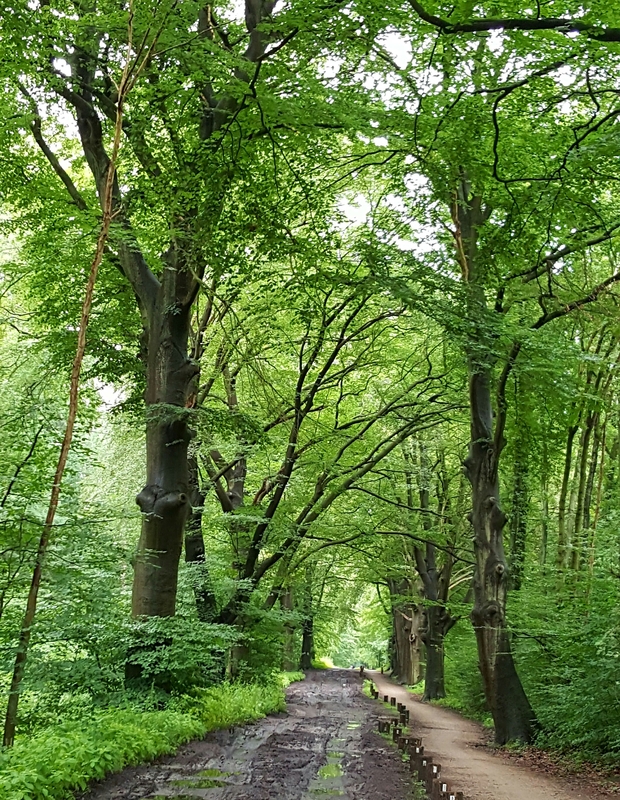 This was a lovely place to open my heart as my feet followed the meandering path. The sense of peace was profound and the gracious welcome deeply appreciated. 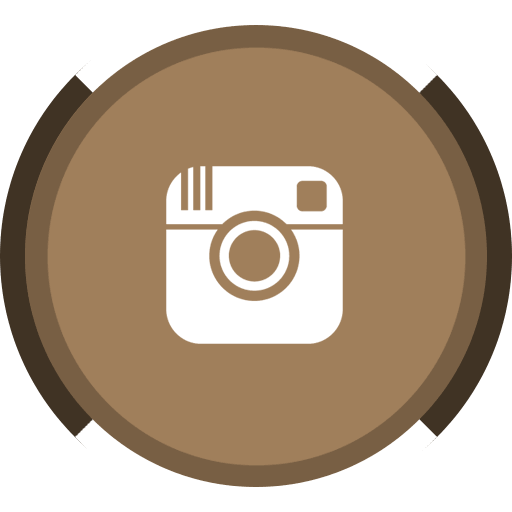 Casella is a religious community born from the Sisters of St. Augustine Monica. 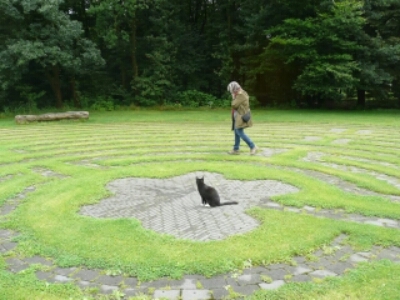 They provide a place of Silence and Encounter for young people, but happily they welcome even us oldies to walk their beautiful labyrinth. How grateful I am for these few days with Els. She knows just how to welcome me to her home and her country. These are the places that speak to my heart. Have a good time together!